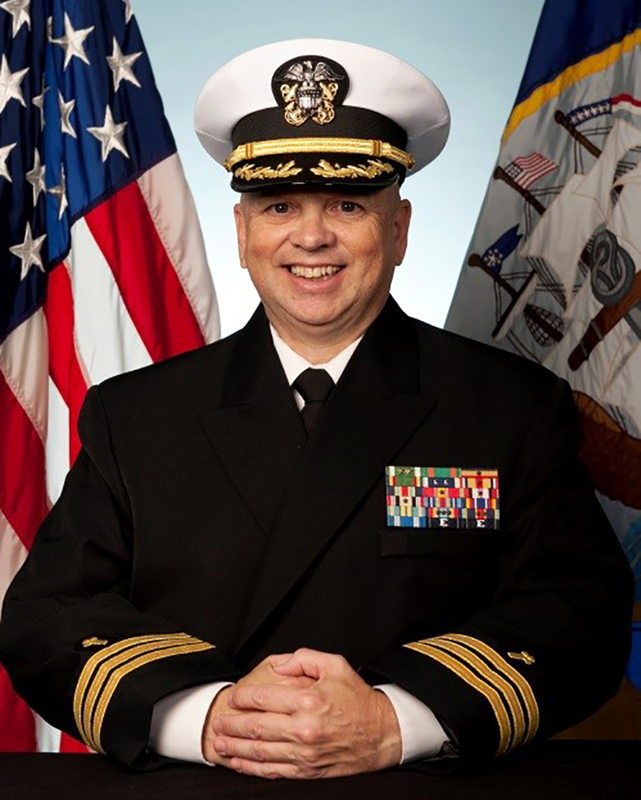 Toccoa Falls College is excited to announce CDR Paul N. Rumery, Chaplain Corps US Navy will be the Baccalaureate speaker for the May 17th ceremony. Paul Rumery was born in Portland, Maine and is a former Staff Sergeant in the United States Marine Corps Reserve. He is a Bachelor of Arts Graduate from Toccoa Falls College in Georgia and a Masters of Divinity from Gordon-Conwell Theological Seminary in Massachusetts. An American Baptist Churches (USA) ordained minister he pastored the Village Baptist Church in Kennebunkport, Maine before superseding to the Naval Chaplain Corps in December 2000. Upon graduation of the Chaplain Basic Course in Newport, R.I., he completed CREST training at Camp Lejeune, N.C. before reporting to the Seabees of NMCB-133 in Gulfport, MS and deployed twice in support of OEF and OIF. In October 2003 he transferred to USS HUE CITY (CG 66) and deployed to the North Arabian Gulf in support of OIF. Chaplain Rumery served overseas as staff and then assistant command chaplain in NAS Sigonella, Sicily from 2005-2008. He reported that December to 2D Marine Division, Camp Lejeune, as Command Chaplain of 3rd Battalion, 6th Marines, deploying to Marjeh, Afghanistan and then served as the 2D Marine Regiment Chaplain. CDR Rumery was accepted to the BUMED Pastoral Care Residency Program from 2011-2012 and upon graduation served in Naval Hospital Camp Lejeune N.C., as the Deputy Command Chaplain. He received the ABC USA Military Chaplain Merit Award for his denomination for 2013-2015. In November 2015, he reported as the command chaplain at Naval Submarine Support Center New London, CT. Screened for Milestone billet, he reported June 2017 as Deputy to the Force Chaplain in Commander Naval Installations Command (CNIC) at the Navy Yard, Washington, D.C.
His awards include Meritorious Service Medal, Navy-Marine Commendation Medal 2 stars, Navy-Marine Corps Achievement Medal, and Selected Marine Corps Reserve Medal with 1 star, along with many unit citations which he cherishes the most. He has three beautiful children, Daniel, Isabel, and Caley, and they are the love of his life!